Motivated Seller Make An Offer! Stately 2sty situated on a double lot which is a rare find in the exclusive Chevy Chase Subdivision. 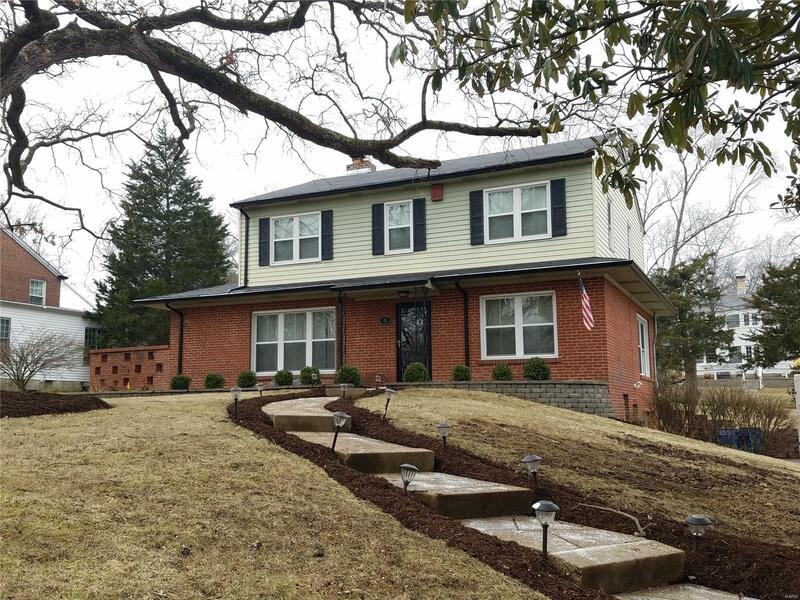 Located in the prestigious Ladue School District, this home has it all. More than 3100 sq ft of living space and is full of updates! The large entry foyer is flanked by the formal dining room and gracious living room w/wood-burning fireplace. French doors from the family room open to the light-filled sunroom that leads to the level backyard. The designer kitchen features Keystone soft close 42" cabinets, granite counter tops, s/s appliances, center island, and coffee bar. The quaint powder room completes the main floor. Upstairs youâll find four nice size bedrooms and two updated baths. The finished, walk-out lower level features a 2nd family room w/a kitchenette, playroom, and a full bath. Updates include; freshly painted, newer flooring throughout, tilt in windows, six-panel doors, light fixtures, crown molding throughout, HVAC & gutters. Elementary School: Old Bonhomme Elem.